If you have found debris on your roof, your best option is to have it removed professionally. If large amounts build up on your roof, water can flow off of your roof in areas not intended causing damage to your home. It can cause leaks and rot. 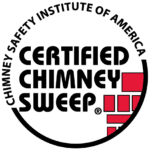 At Patriot Chimney, we can remove debris in a variety of ways. Depending on the amount and type of debris on your roof we will clear off your roof so water can flow in the way the roof is designed.